A collection of short stories about the island of Maui in seven genres, seven Maui locations, and seven different time periods. Also included is a collection of kaona – Hawaiian metaphorical poetry. 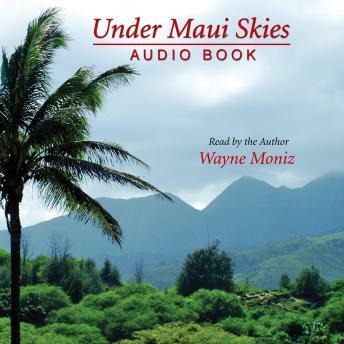 The short stories include 'Under Maui Skies' – a Western about a cowboy trailing an opium dealer – 1908 – Kula and Kamaole, 'The Cave of Whispering Spirits' – an adventure story about the last eruption of Haleakala –1690-Honua`ula, 'The Cruel Sun' – love story set in Lahaina 1800s, 'Aloha , Sweetheart' – a gumshoe mystery – Wailuku -1939, 'Aunty Becky’s Tavern' – war story-Pa`ia and Kihei, 1941, 'An Island Beyond Hokule`a' – Science Fiction- Haleakala, Keanae – 1955, and 'Luahinepi`i: The Climbing Woman' – ghost story – Iao – Pre contact and 1963.